After our tiring drive from El Nido, we arrived in Puerto Princesa City where we stayed for one night. Our accommodation was Charing Pension House along Manalo Street. It was a touching gesture that the staff was waiting for us at the gate and were expecting us to arrive. The Standard Room (Published rate: Php 1300) is more than what we expected. It has two beds: one twin and one single, with a spacious bathroom, hot and cold shower, a huge cabinet, cable TV and a set of table and chairs outside the room. They also have wi-fi. The staff was also helpful with giving us direction to KaLui, where we had our dinner, and in contacting a massage service for us (the drive from El Nido was too tiring). The breakfast was pretty decent. I wasn't expecting a lot, given the rate. The transportation to the airport was paid for also by them. I am truly impressed with Charing Pension House, it was a lot different from the service we have experienced in El Nido. 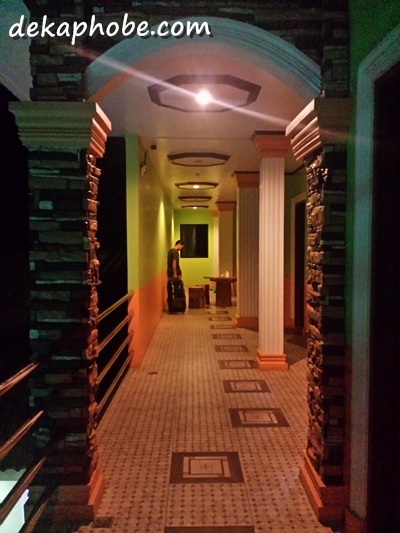 We would love to stay here again when we return to Puerto Princesa.